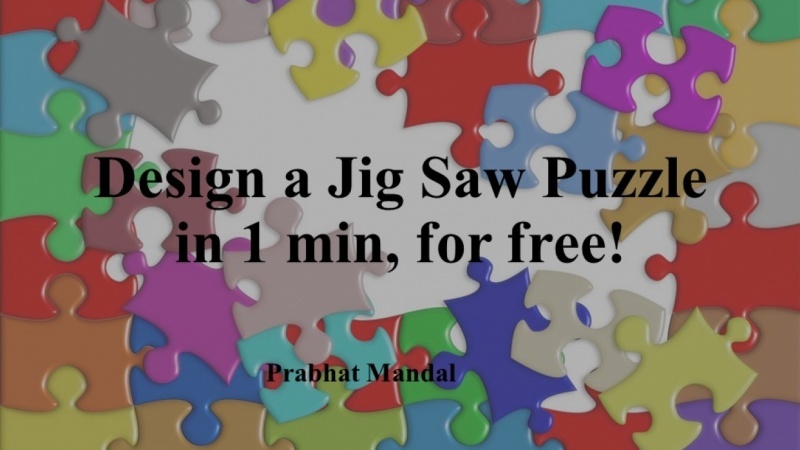 Design a Jig Saw Puzzle in 1 min, for free! This is Prabhat Mandal and I have been working with children and their parents for last 11 years and have been blessed to get tons of creative.ideas, especially around learning aids for children. * How to design Jig Saw Puzzles in 1 min, for FREE ! Your child gets a NEW puzzle every day and remains excited about next day. Please ENROLL and DON'T FORGET TO LEAVE A REVIEW.